Take ride on this huge 18 ft tall Water Slide! This is one of our most popular rentals. Kids and adults cannot wait for this inflatable Water Slide to be hosed down. This unit has become a staple entertainment at summer camps and local backyard parties. It is a great way to cool down on a hot summer day. 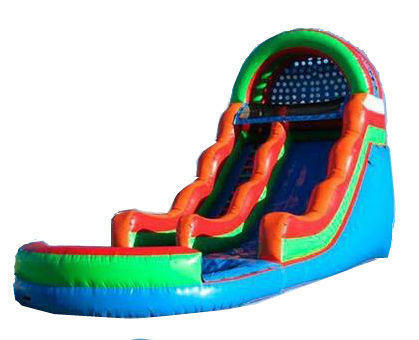 * This colorful slide could be also set up dry with a stopper at the end of slide.